Leon Denis was born in a village called Foug, located in the surroundings of Tours , in France , on January 1st, 1846 , of a humble family. Very early in life out of necessity, he did manual works and had to carry the heavy responsibilities of his family. From his first steps into this world, he sensed that invisible friends assisted him. Instead of participating in plays relating to his youth, he tried to instruct himself as intensely as possible. He read serious works, thus striving through his own efforts, to develop his intelligence, and became a serious and competent self-didactic. At the age of 18, he commenced to work as a sales representative, and because of this he had take frequent trips. This situation continued up to the time of his reformation and beyond. He adored music, and whenever he had a chance, he would attend operas or concerts. He played well-known arias at the piano and also some accords from his own inspiration. He did not smoke, and was almost exclusively a vegetarian, nor did he indulge in fermented drinks. He found water to be his ideal drink. It was his habit to review books with interest, of those displayed in the bookstores, at the age of 18, by “chance” his eyes glanced at a work with an unusual title: The Spirits’ Book by Allan Kardec. Having in his possession the amount needed to purchase the book, he bought it and rushed to his home immediately surrendering eagerly to the reading. The year of 1882 marked, in reality, the beginning of an apostolate, during which he had to face successive obstacles, such as: the materialism and the positivism that viewed Spiritism ironically and with amusement, and also, the believers of other faiths who did not hesitate to align themselves with the atheists in order to ridicule and weaken Leon Denis. Denis, however as a heroic paragon, had no fear of facing the storm. The good spirits were placed at his side to encourage and to exhort him in the battle. “Courage, friend,” the spirit of Jeanne told him, “we will always be with you to sustain and inspire you. You will never be alone. In time, the means will be provided to you, so that you can fulfill your task.” On November 2nd, 1882, on the day of the commemoration of the dead, an event of capital importance occurred in Denis’s life: for the first time, the spirit who would be his guide, his best friend, his spiritual father, Jeronimo of Prague, manifested himself saying: “Go, my son, follow the open road before your eyes. I will walk behind you to sustain you.”By 1910, Leon Denis’ vision was weakening day by day. The surgery to which he had submitted two years prior had not resulted in any improvement, but he calmly and with resignation withstood the implacable march of that illness that had persecuted him since his youth. He accepted everything stoically and with resignation. He was never heard complaining. Though, one can well imagine how immense his suffering must have been. In spite of this, he kept up with a voluminous amount of correspondence. He was never upset, loved his youth and possessed a happy soul. He was an enemy of sadness. Physical illness represented a smaller interference to him than the anguish he felt for the fact that he no longer would he be capable of writing. Various secretaries substituted him in at this work; however, the greater difficulty for Denis consisted in reviewing and correcting the new edition of his books and of his writings. Thanks, however, to his incomparable memory and orderly spirit, he overcame all those setbacks, without the need to call on his friends for assistance. After World War I, he studied and learned Braille, which allowed him to put on the paper the elements of chapters and articles that came into his mind, because at this time in life, he was practically blind. It was a Tuesday, in March of 1927, at about 1:00 o’clock in the afternoon, that Denis breathed with great difficulty. Pneumonia had attacked him once again. Life seemed to abandon him, but his state of lucidity was perfect. His last words, pronounced with extraordinary calm, in spite of the great difficulty, were spoken to his maid, Georgette: “It is necessary to finish, to summarize and to conclude.” He was referring to the foreword of the new biographical edition of Kardec. At this exact moment, he completely lacked the energy to articulate another word. At 9:00 o’clock his spirit flew away. His countenance seemed as if he was still in a state of ecstasy. The funeral services took place on April 16th, 1927 . At his request, the funeral was very simple and without the participation or pronouncement of any confessional Church. He was buried in La Salle ’s cemetery, in the French city of Tours . Among the great apostles of Spiritism, the extraordinary powerful presence of Leon Denis deserves a very distinctive place, particularly, in view of having been the logical follower of Allan Kardec’s work. We can be sure that it constituted an extremely difficult task to write about Denis’ life, given the magnitude of his mission on earth. It is difficult to determine what to point out first, whether it be his incredible personality, the good sense of reasoning with which he was endowed, his commitment to work, his dedication to his fellow beings or the fervent love he consecrated to the ideals that he embraced. His bibliography is quite extensive and composed of monumental works that enrich the spiritualist libraries. It is due to him that the spiritists have been blessed with the unique opportunity to see the enlarged new angles of the Spiritist Doctrine’s philosophical aspect, because, his works generally focused on the numerous problems that occur to men, and also to the perpetually disturbing subject of the survival of the human soul in its laborious evolutionary process. 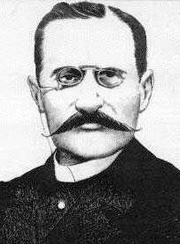 Léon Denis was immortalized in the gigantic task of dissecting problems related to the afflictions that attack the incarnate beings, supplying valuable information which in essence throws new light on the problem of the terrestrial tribulations. He left behind the concepts that until then had prevailed, to present it engulfed in the light of highly comforting teachings, which resulted from the inexhaustible sources of the Doctrine of the Spirits. Being devoted to the profound study of Spiritism, in its triple aspect, incorporating science, philosophy and religion, he took a long time with greater persistence in its philosophical aspect. Together with his serious studies in that field, he also made a valuable contribution, in dealing and studying historical subjects, supplying important subsidies clarifying the Celtic origins of France and concerning the dramatic episode of the martyrdom of Joan of Arc, the great French medium. His studies didn’t stop there. He worried excessively about the origins of Christianity and its evolutionary process through the times. Among his multiple occupations, he was honorary president of the Spiritist French Union, honorary member of the International Spiritist Federation, president of the International Spiritist Congress, reached in Paris , in the year of 1925. He also had the opportunity of directing for many years, an experimental group on Spiritism, in the French city of Tours . His performance in the heart of Spiritism was more diverse than those developed by Allan Kardec. While the Codifier exercised his noble activities in the French capital, Léon Denis carried out his dignifying task in the country side of France . His unusual intellectual capacity and his clarity in transcendental matters, led the Spiritist Movement in France , and in the rest of the world, to gravitate toward the city of Tours . After Allan Kardec’s disincarnation, that city became the point of convergence of all who wanted to make contact with Spiritism, and receive illumination, because, undeniably, the Pleiades of Spirits that had as task, the success of the process of revelation of Spiritism, gave to the great apostle all the necessary support so that the new doctrine could be rooted firmly in a wide and unrestricted way. Denis never studied in an accredited academy; however, he developed in the practical school of life. He experienced his own pain and that of others. He was not well paid, having to undergo heroic deprivations, which taught him wisdom. For this reason, he used to say: “The ones that have not experienced those lessons usually ignore one of the most moving sides of life “. With the resources of his uncommon intelligence he could have been spared from poverty, but he preferred to live within it, as in his opinion it was difficult to accumulate selfishly for himself, that which he had received to be distributed among his fellow beings. In a well advanced age, blind, and with a relatively weak constitution, he still lived full of tribulations. Nothing, however, changed his way of proceeding. In spite of all those adverse conditions, he received everyone with deference. From the first hours of the morning he dictated himself to his secretary, in answering voluminous correspondence, replying to the pleading of countless societies that he had founded or of which he had been named honorary president. Whenever he attended there, he was always designated a place of greatest prominence, a mark achieved at the price of deep dedication, perseverance and indefatigable labor in goodness.